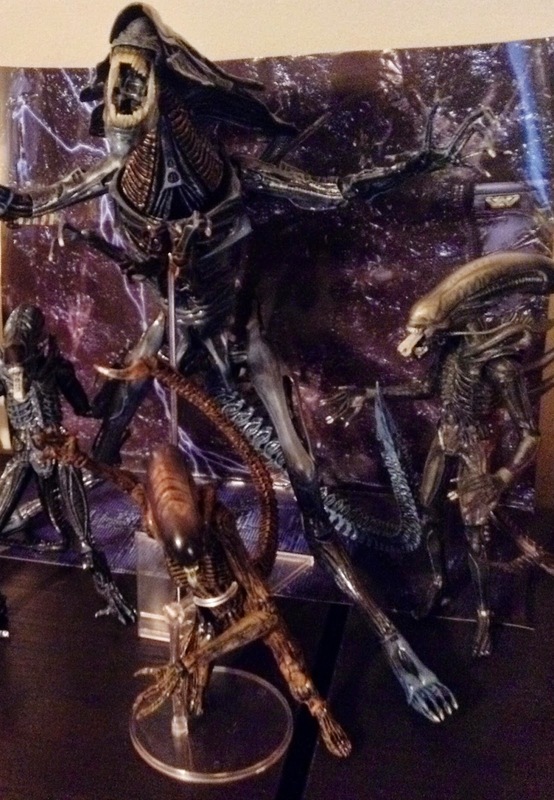 Right off the bat, I will tell you that the Dog Alien is my favorite Xenomorph figure that NECA has made so far (not including the Queen, of course). 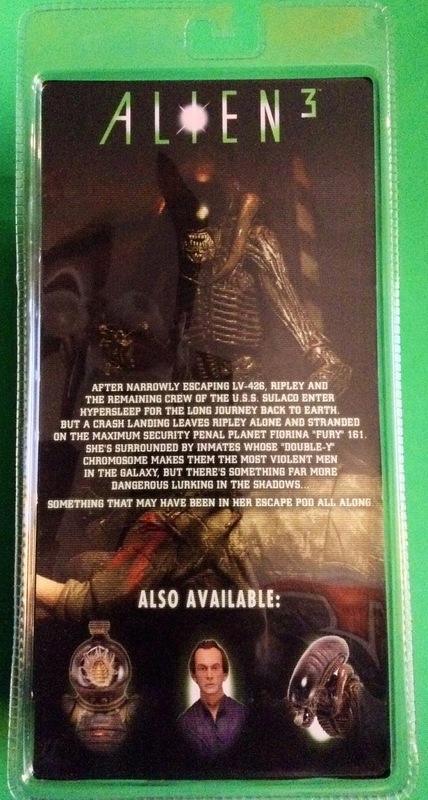 He comes in the standard packaging with the ALIENS 3 art on the front, back, and sides. Once you open this bad boy up you will notice that he is extremely tall and lanky and has bit of a longer tail. 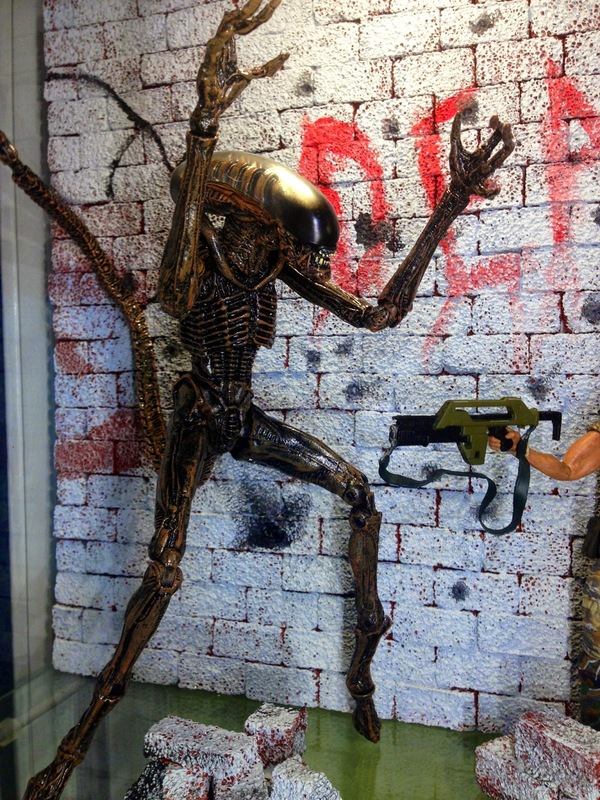 He stands at about 11" or so when he is stretched out in the upright position (which is taller than the previous Xenomorphs such as Big Chap and Warrior). He is also noticeably thinner and not as bulky as those guys which stays true to the movies. The Dog or Runner is not as strong, but makes up for that with his speed and agility. 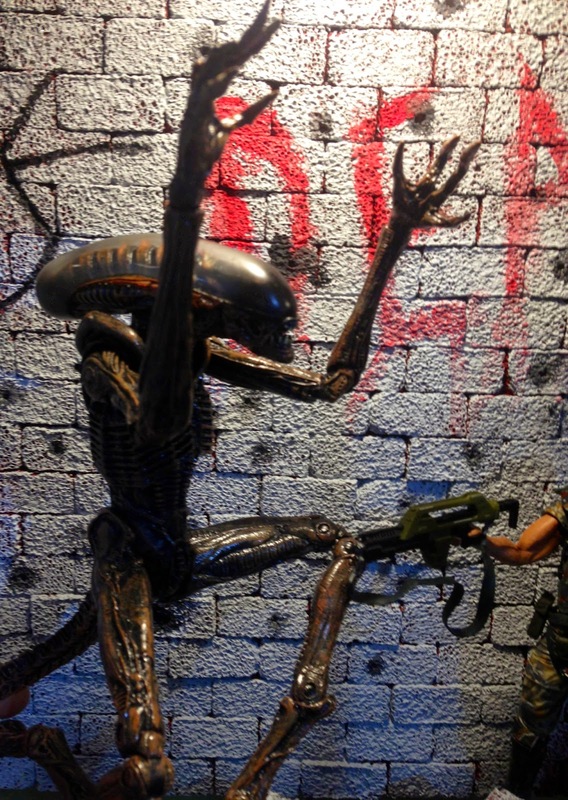 This figure is an improvement in almost every way in comparison to previous Xenomorph figures produced by NECA. 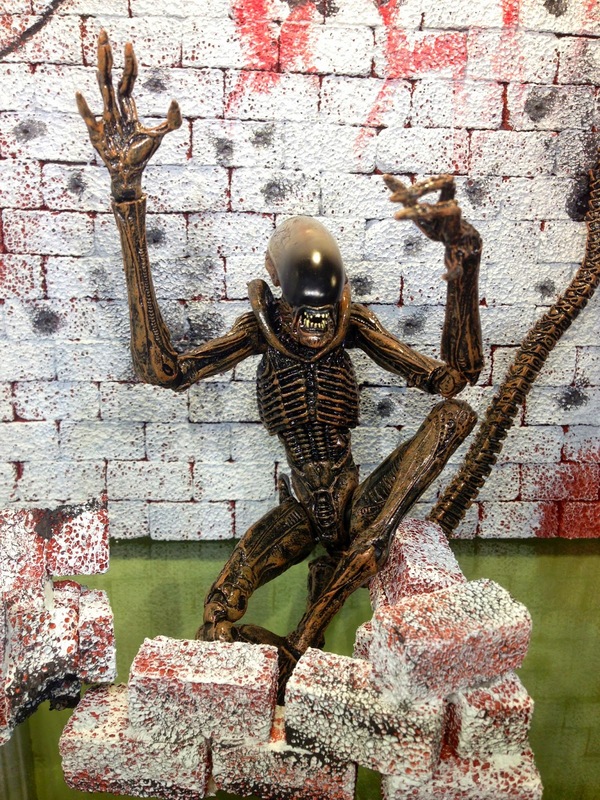 He feels a lot sturdier and secure in your hands and when posing him. The paint has a nice glossy look to it which I think is fantastic. 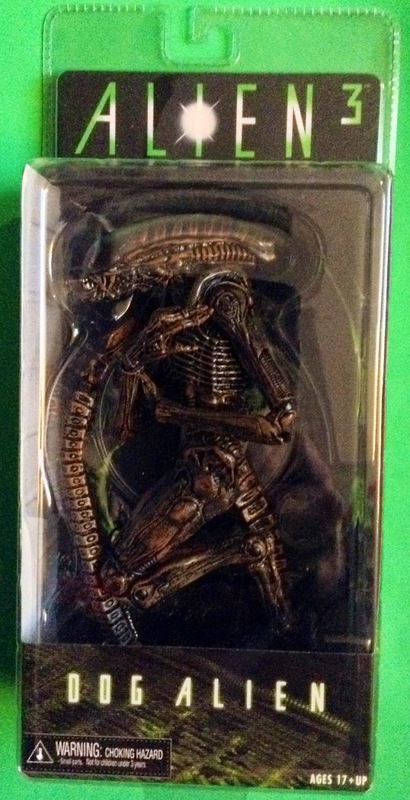 NECA came up with a brilliant idea and included a clear stand. 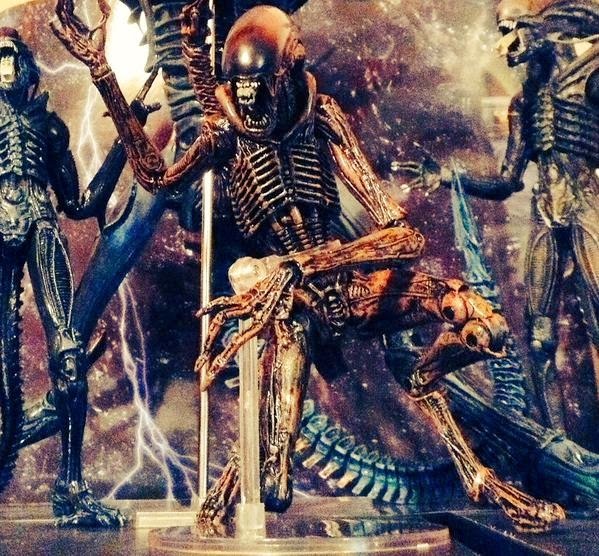 This figure is so highly articulated that the stand enables you to capture the Dog Alien in those perfect poses which otherwise would be extremely difficult or impossible to do without it. 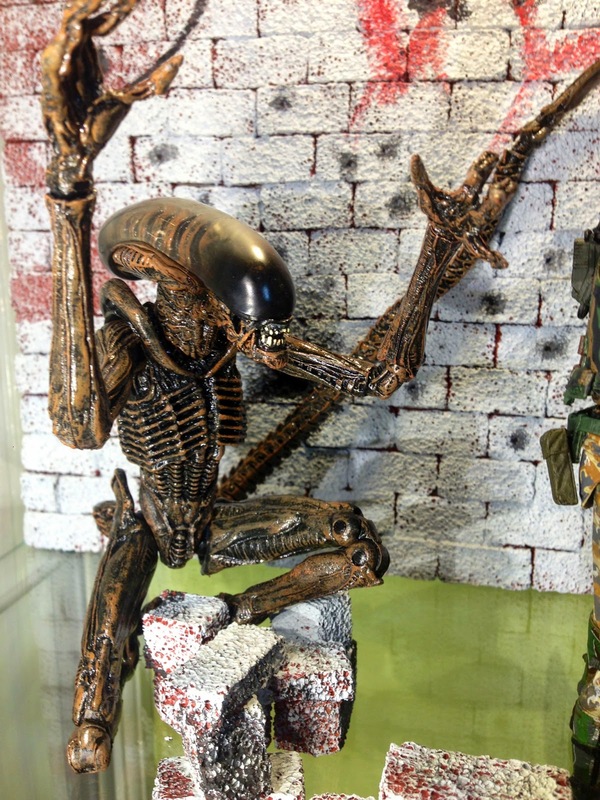 My personal favorite way to pose him is in that crouched position where he is just waiting to pounce on somebody. His head, arms, legs, and tail can all be bent and moved in multiple positions. There are endless possibilities for poses to put him in which makes him the perfect figure to photograph if you're into that (like we are). 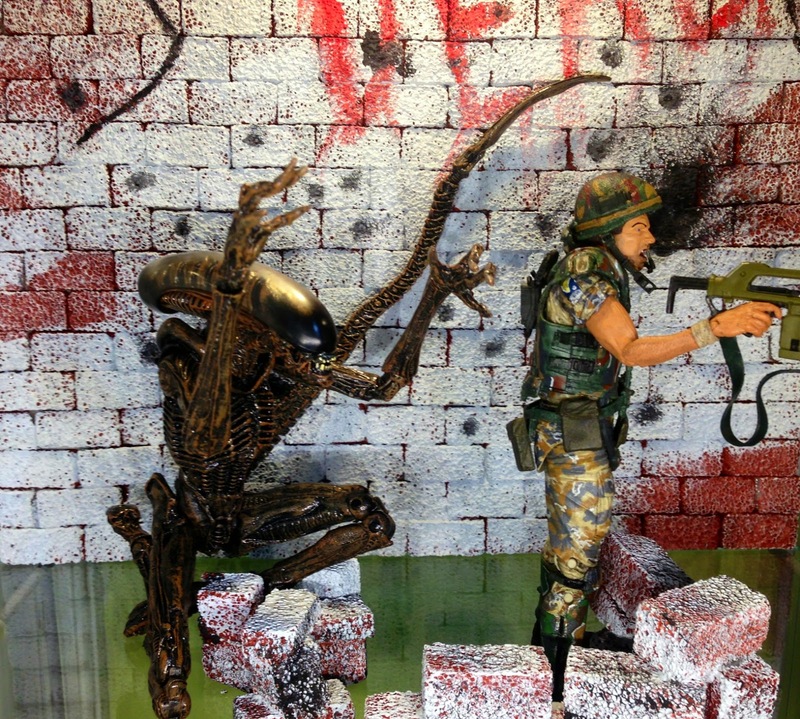 To sum it up, the NECA Dog Alien is a definite winner and any Alien fan should immediately pick one up. 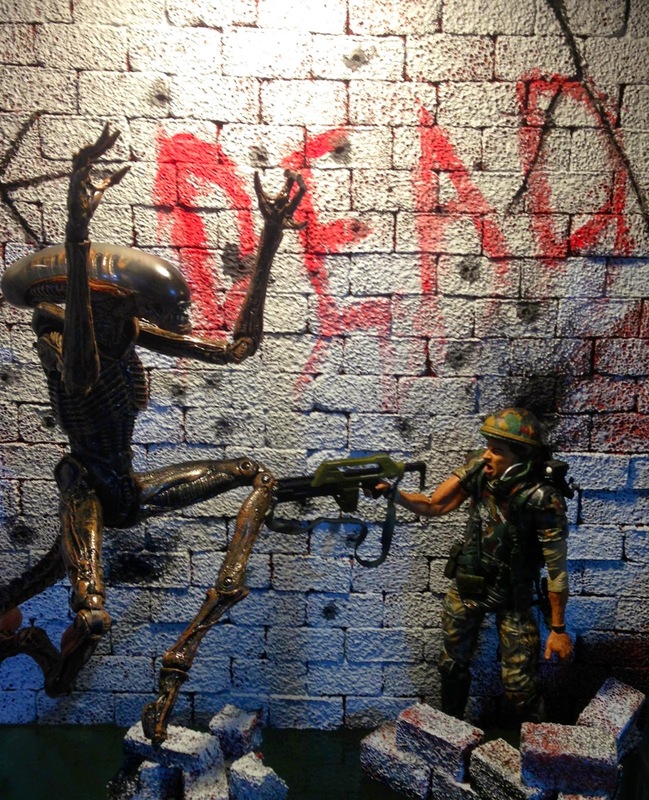 NECA continues to step their game up with each and every figure they release. I could talk about this figure all day, but some times you just need to see it to appreciate it. 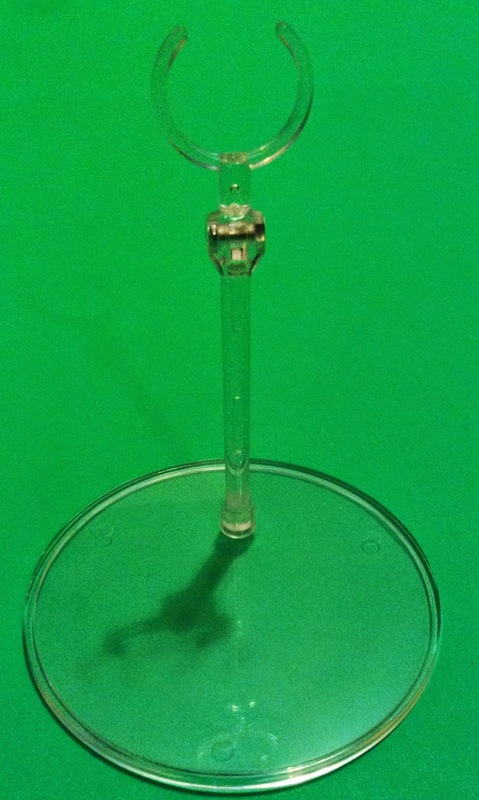 Check out the pictures below. 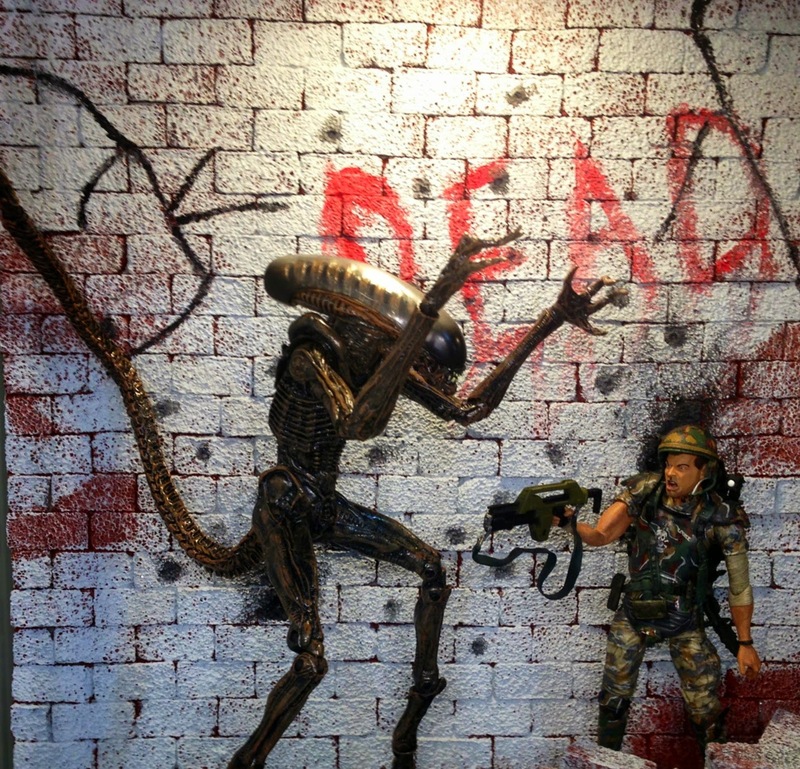 Be on the lookout for new reviews for NECA's Bishop and Kane figures soon! 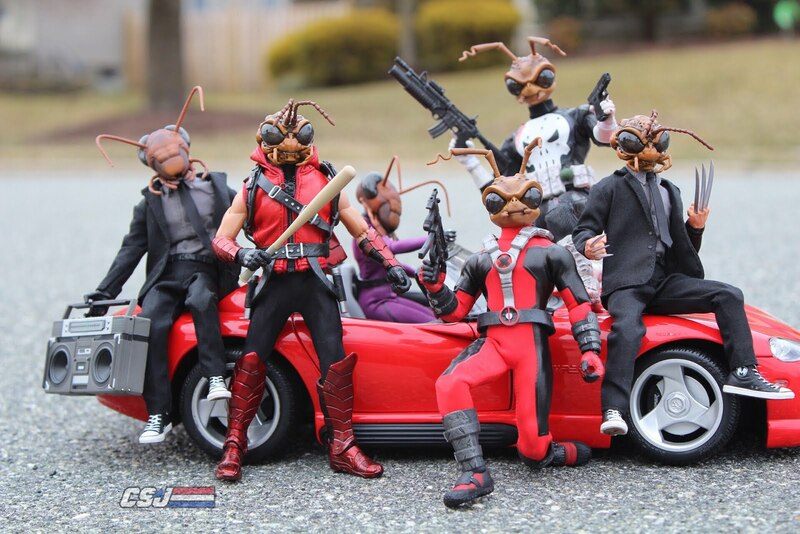 You can pick these up at Entertainment Earth and other toy stores.